1. Expect to spend about 1 hour for your annual comprehensive eye health examination. We make sure to schedule ample time for your appointment so you will never feel rushed. 2. There is FREE PARKING in the rear of the building. You can also park on Patricia Ave. or at the meters on Pico Blvd. (We provide change for the meters) REMINDER: NO PARKING on Pico Blvd after 4pm!!! 3. Contact lens evaluation fee includes all the necessary contact lens related follow up visits for 3 months, trial contact lenses and a starter kit of contact lens solution. 4. Bring insurance information for both MEDICAL and VISION insurance. Insurance must be claimed by patient at time of service. 5. Dilating the pupils with eye drops allows your optometrist to obtain a better view inside your eyes in order to ensure optimal eye health. Please be advised that you may experience blurred vision when reading at close distances, and will be sensitive to light for up to 4 hours. If you are concerned about driving please make arrangements for someone to drive you. If you have sunglasses, please bring them with you. 6. 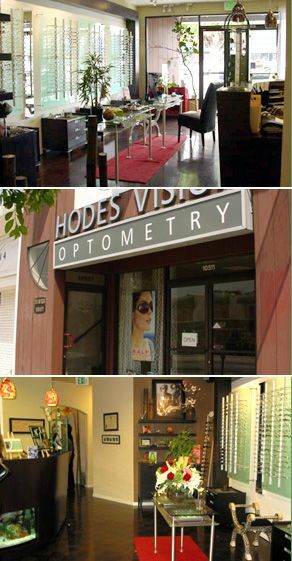 Bring your eyeglasses/sunglasses and come in wearing your contact lenses. Bring any old prescriptions and/or boxes of contacts to your visit. Bring any eye drops and list of medications you are currently using. 7. To avoid a cancellation fee, kindly give 24 hour notice for any rescheduled or canceled appointments. please pick a day 2 weeks ahead to help ensure availability. Your actual appointment date and time is NOT CONFIRMED until we contact you. We will book with the first Doctor available.....if you have any specific Doctor requests please call our office! !